SILVER SPRING, Md. --- In the first high-stakes acquisition of its kind, the Seventh-day Adventist Church has announced plans to buy Chipotle Mexican Grill, Inc. The struggling chain of Mexican-style restaurants will be rebranded as Haystacks "R" Us by the church. 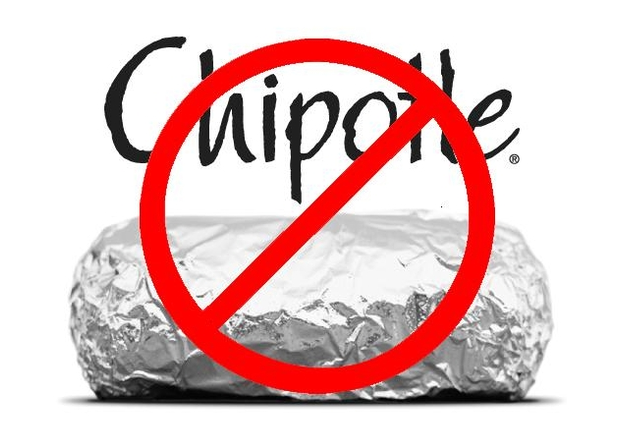 Chipotle suffered a disastrous 2015 as outbreaks of E. coli, norovirus and Salmonella scared off customers. In a statement released this morning, the General Conference of the Seventh-day Adventist Church said that the drastically lowered valuation of the chain "made it possible for us to acquire Chipotle and rebrand it to spearhead a major new effort by the church: Haystacks Evangelism." "We'll need to make a few tweaks to the Chipotle menu to make sure what we serve is aligned with our health message," said GC Haystacks Ministries Director, Hal Apino. "We'll only serve burrito bowls and we'll call them by their rightful name: 'Haystacks.'" As for changes to ingredients, Apino said that changes could be summed up as: "Fritos and FriChik are in and all the meat is out." Apino promised a gathering of food bloggers and concerned college students that the Mexican chain would regain the trust of consumers under the new Haystacks "R" Us brand. "We have begun the process of recruiting the very best health and safety experts from Adventist academies and colleges across the country," said Apino. "They never disappoint." Love the name of the GC Haystacks Ministries Director, “Hal Apino.” Yup, haystacks are great with jalapeño. Does the GC really want to inherit all those nasty bacteria and viruses? If they really want to make haystacks restaurants, why not buy out Taco Bell and rename their “taco salads” as “haystacks”? The $25 million that the GC spent on the San Antonio GC Session could have gone towards this purchase of Taco Bell. Haystacks evangelism? I’ll go for that. I could even write a song about it! What’s gonna happen to Chipotle / Haystacks-R-Us when it goes vegetarian? If this were serious, the church wouldn’t be buying Chipotle, they’d be opening their own fast food chain called “Haystacks.” Of course then you run into the problem of customers who don’t like Tofu Haystacks and Tofurkey Haystacks and Vegechick Haystacks and Very Veggie Haystacks, they want real pollo, real carne, real carnitas, real chorizo, and they get hungry on Saturday too. It will take an expensive advertising campaign to educate the public that Haystacks aren’t cow food. Who’s going to fund that? They could simply ask your friendly billionaire presidential candidate. . . .
Maybe the wealthy Dr. Ben Carson would help. His hip-hop rap campaign commercial is awesome. This comment has been deleted. If you think you are reading it, you must be having delusions. You need to know that the phrase “R us” is copyrighted and trademarked by another company. It doesn’t matter the position of the “R”. Does the sale include it? We gonna need a slew of lawyers for this one. Need to get a name on the NYSE, S&P, etc. Think of all the SDA college students working their way thru school. Little Debbies will be on the menus. Teddy can switch the GC cafeteria to Chipotle’. All our SDA college cafterias will adopt the change. The list is endless. I say, Go for it. Let’s do it. I want a franchise inside my church for Sabbath potlucks! I’m in on this one. Woe iz me!! I agree! Memo to GC lawyers: Full steam ahead! We are here to stay and growing everyday, the time is right.